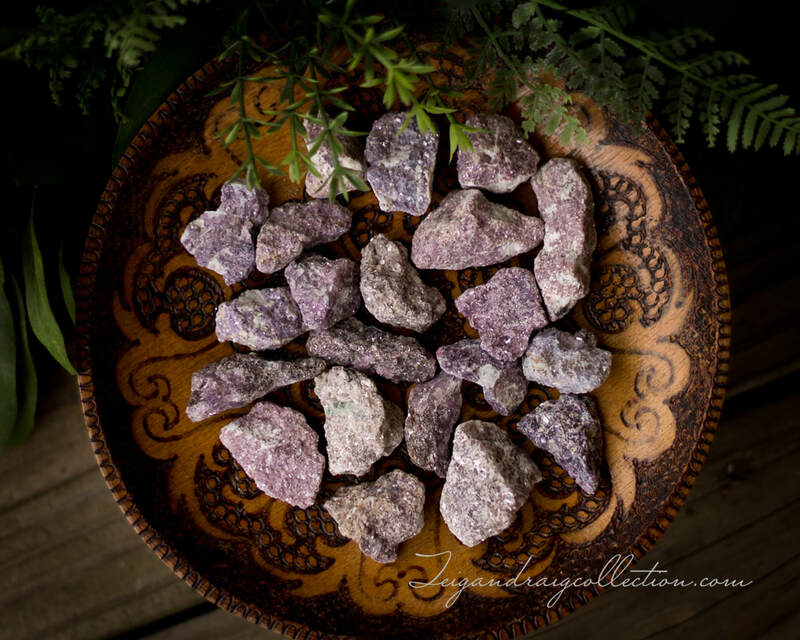 Beautiful shimmery lepidolite is magickal stone in shades of pink, lavender, and purple. Lepidolite is a stone of transition, awareness, emotional balance, meditation, and prayer. Lepidolite is soothing and brings emotional healing, reduces stress, and dispels negativity. It opens the Crown Chakra and clears blockages bringing peaceful awareness. 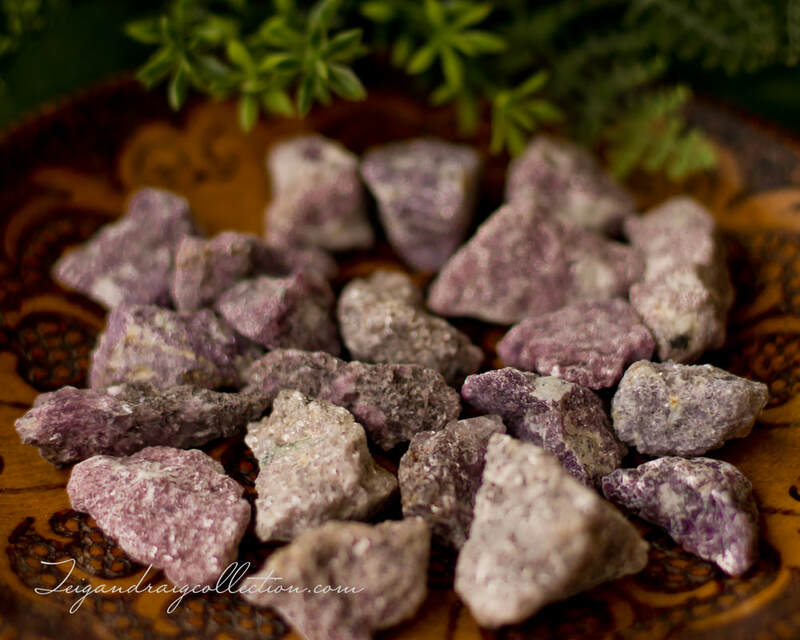 Lepidolite aids in astral travel and facilitates access to the Akashic Record. It encourages independence, self-love, and trust.